snazzy new slow cooker, I was ready to give it a shot. The advantage to the hot-process vs. cold-process is time. When you cook the soap, it’s neutral at the end of the cook. Cold-process is generally neutral in about 24 hours, depending on a few different factors, but continues to fully saponify for much longer. This is one of the reasons CP requires such a long cure. 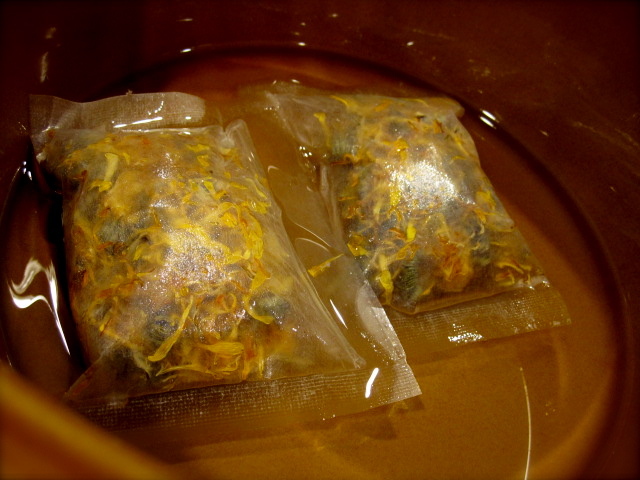 I decided I wanted to do a Calendula flower infusion into my soft oils. 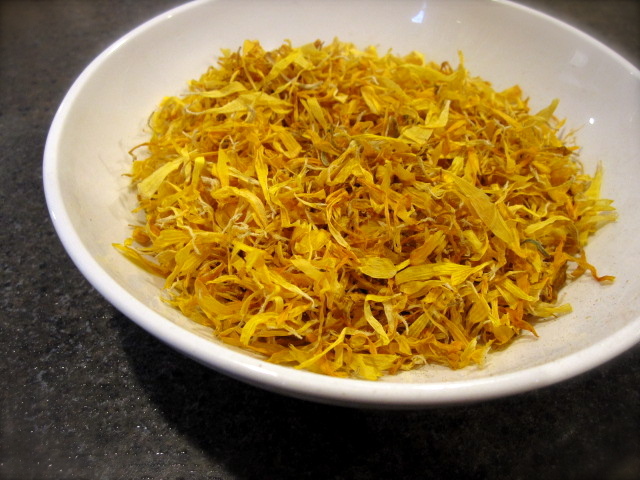 Calendula has some nice qualities that are very soothing to the skin. while I did a little cleaning..
HAHAHA! Ok, I’m lying, for good effect. fun melt & pour soaps while I waited for my infused oils to be ready! Using the hot-process, I didn’t even have to wait for my lye-water to cool, WOOHOO! 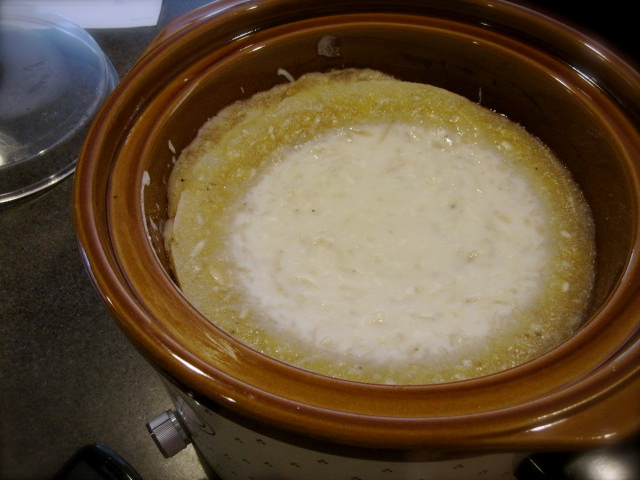 In the picture below, the soap has been cooking for about 45 minutes. You want the soap to start to ‘fold in on itself’. You can see where it is fully cooked around the edges at this point. So exciting! I also incorporated some older soap shreds that were Tea & Ginger scented. So hard not to stir, but I was a good girl, and sat on my hands. The pic below is the ‘mashed potato stage’. 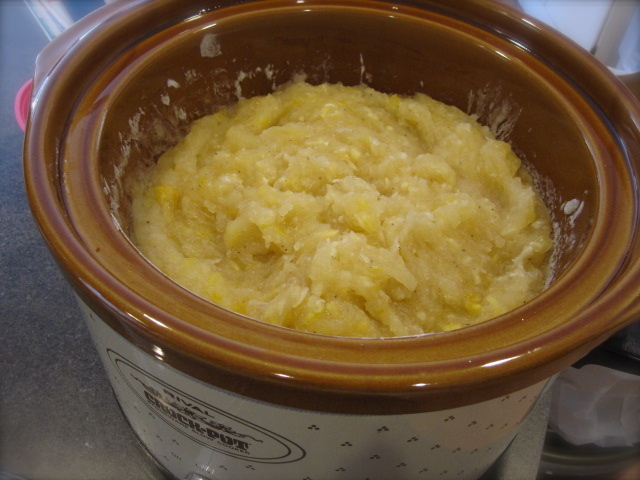 It kind of looks Vaseline-y, which means the soap is fully cooked. At this point, I took it off the heat, let it cool down a bit and added some dried Calendula Petals and my fragrance and essential oils. I used an orange scented fragrance oil, and some Litsea Cubeba (citrus) essential oil. to many a soapers’ dismay, is notoriously fleeting. The finished bars contain the natural goodness of the Calendula flower infusion, and the sweet smell of citrus & ginger. These bars are made with the oils I listed above, plus lard, which offers hardness and creaminess to the bar. I’ve already used one of these in the shower, because I’m the impatient type..
It’s beautifully mild and lathers quite thickly, I’m a HP fan! 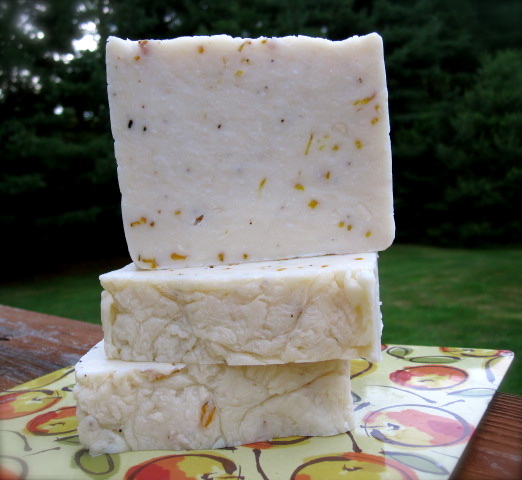 Posted in My Hand-Made Soap and tagged Calendula Flower, hot-process soap making, lard, olive oil. Bookmark the permalink.